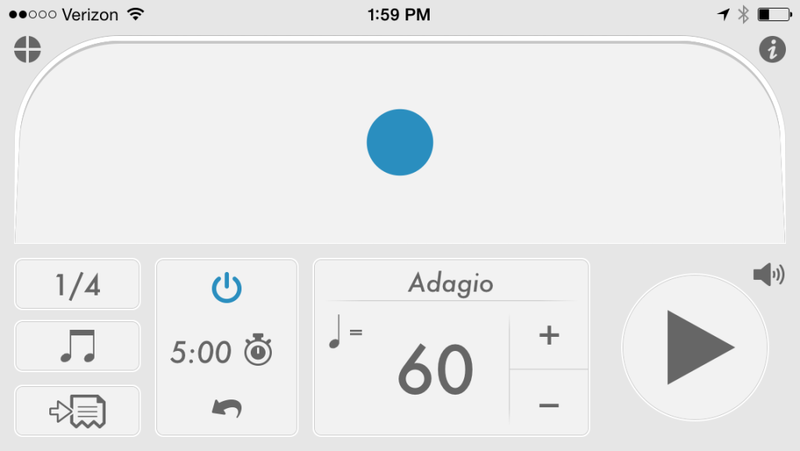 Yesterday we took a not-so-little tour of all the obvious and non-obvious ways we use our metronome, then worked on our Bury The Click exercise for the third consecutive day. 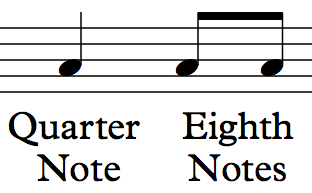 Today we’re still going to rock out BTC, but we’re adding a new twist: eighth notes. In the movie August Osage County, there’s a scene where Benedict Cumberbatch is playing the piano and singing to Julianne Nicholson. It’s a simple little tune that’s mostly quarter notes on 1, 2, & 3, with a pair of eighth notes on 4. He rushes pretty much the entire time, starting around 103 bpm and making it up to 123 (!) before Margo Martingale interrupts him. Who knows how fast he’d have gotten if he got to sing the whole thing. the tempo ratchets up each time he plays the eighth notes on beat 4. The first part––not rushing slow quarter notes––is exactly what we’ve been working on these last 3 days. The Bury The Click exercise can’t be bullshitted (bullshat? )––when you’re ahead, you hear the click. The second part––not letting divisions ratchet up the tempo––is what we’ll begin working on today. Let’s back up a second and have a super-brief discussion about quarter notes and eighth notes. What we’ve been playing the last few days––one note per beat––is called a quarter note. It’s just our usual 1, 2, 3, 4. Without going too far down this particular rabbit hole, I want to show you what quarters & eighths look like in notation, since that’s how the icons in Tempo are marked. So now we’re going to do our familiar Bury The Click exercise, but with eighth notes. The Tempo app makes this easy for us. First, make sure you’re in Basic mode (because the button you need is hidden in some modes). 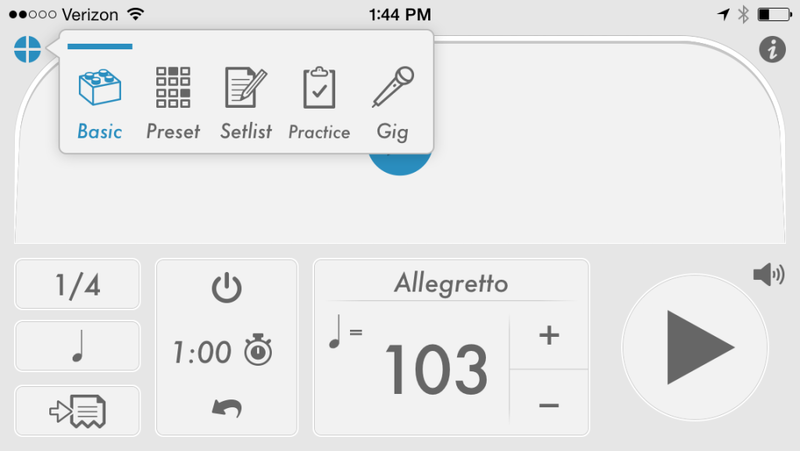 Go ahead and hit play––your metronome should now be clicking out eighth notes in between each quarter note. Again, make sure the volume is roughly the same as your muted strum. You want the sound source of the metronome coming from the same general direction as your guitar. Once that gets easy, switch to all down strums. 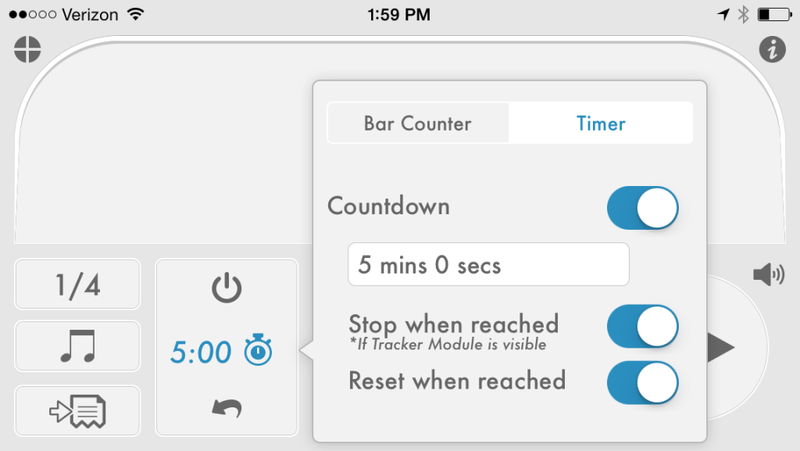 Once that gets easy, try switching back and forth every few bars. If that’s still too easy, make the tempo slower. Bring your wandering attention back to the task, over and over and over––it’s good for you. Next we’ll talk about Yoda and explore something I call Bullet Time.